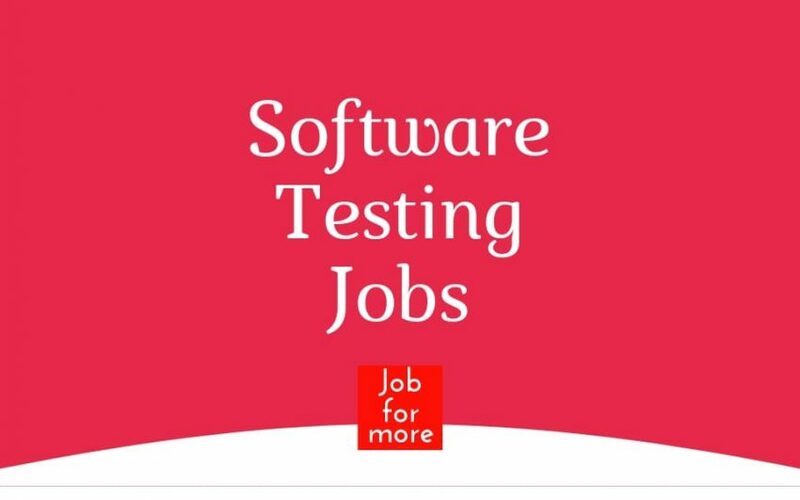 Are you looking for Manual testing, Automation Testing, Selenium and Java Jobs in Pune, Gurgaon, Bangalore, Mumbai, and Chennai?? Understand requirements, prepare test cases and conduct test execution – Understand test strategy, test plan and contribute in executing the test strategy, plan – Create traceability matrix between requirements and testing artifacts and ensure optimum test coverage. Manual Testing (including Roaming Testing- TADIG & IREG) Common Tools – HPQC/ JIRA/ IBM RQM for Manual Testing and Signs for Roaming Testing. Strong knowledge of insurance domain. Information on ULIP / Traditional Plans of insurance. Product testing IL / Life Asia. Coordination with BA / PM on the client side. RCA finding / Defect Analysis. As an Automation Test lead you will be accountable to fulfill automation requirements of the project by supporting the team in building automation framework, automate manual test cases, maintain and execute regression tests ensuring all automation needs are properly met and aligned to the customer expectation. The role also demands expertise on any of automation tools like Selenium, Tosca, etc. Good to have experience in creating customized test execution. (summary) reports using HTML, DHTML, XML, and Perl/Python. Good experience and understand the Software Testing Lifecycle (STLC). Good knowledge and experience in Software Development life cycle (SDLC). Exposure to Web Service or SOA Testing. Should have good experience in MyBatis. Should have experience in Strong SQL experience working with databases, written complex queries, have defined schemas, tables, understand optimization techniques. Should have experience in Oracle PL/SQL experience. Works independently under limited supervision and applies knowledge of subject matter in Applications Development. Possess sufficient knowledge and skills to effectively deal with issues, challenges within the field of specialization to develop simple applications solutions. Second level professional with direct impact on results and outcome. Code design, code development, and maintenance, extensively used Collections framework. Good Experience in JPA / Hibernate framework to connect database. Good working experience in Weblogic Server to deploy, undeploy java / J2EE applications. The work will involve the development of Web Applications, Components, Systems, Services, Framework. Working on products or on live production systems. Developing, Maintaining, Testing, Debugging, Fixing and optimizing code. Experience with Core Java (Version 7+) & Advanced Java. Experience with Web Crawling is the must. Experience with Machine learning will be preferred. Experience with Spring/Spring Boot, RESTful Web Services, JUnit & Mockito Framework. Experience with Any relational Database,Any No SQL Database & Object Relational Mappings (ORM). Strong conceptual knowledge of multi-threading. The person should have a Bachelor’s or Master’s degree in any engineering, scientific, quantitative field and should have a sound track record in software design and development. He should be sound in Java. He should have strong computer science fundamentals (data structures, collections, multithreading, algorithms, distributed development, OOPs concepts). Experience of working in a technology team within a financial organization is preferable. He should be the proactive individual with experience working in a fast paced environment and have strong verbal and written communication skills. Work with delivery architects to reach the best solution to problems. Ensure development quality standards are met. Own and deliver technically sound solutions for the assigned project (s). Provide regular updates and reporting to project managers. Good knowledge of UNIX, Shell Scripting, Ant, udeploy (or similar). Teamcity, Crucible, Sonar, Fitnesse, Maven. Good understanding of Development Methodologies like Test Driven Development. Appreciate the business principles involved in a project. xperience in Core Java and J2EE development preferably in WebSphere 7/8/Liberty profile. The Oracle Cloud Identity Service Test team is seeking a motivated senior level QA Engineer with leadership qualities to lead, perform, support Integration and System level testing related to Oracle Cloud Identity Service products. This includes Functional/E-E testing of the Identity service, Integration testing with other Cloud services and SaaS deployments. Good Understanding and hands on knowledge of Security Concepts like Keys/Certificate Management, X509 Concepts. Ability to grasp new product features early in their development cycle when documentation is often limited or non-existent. Familiarity with automation tools e.g. Junit, Selenium webdriver and commercial GUI and REST API testing tools. ncedo is looking for resource -who can Design, develop and maintain the Automation Framework For Layer2/Layer3 devices , Setup and Maintain CI workflow. Strong Experience with Python Language. Strong experience with Selenium Web driver. Strong experience with Robot Framework. Experience in setting up CI automation on Dockers platform. Experience on continuous integration tools like Jenkins. Should have hands on experience in BDD / Behavior-Driven. Development framework like Cucumber, JBehave. Should have experience in Agile Methodologies. Experience in Junit are highly preferred. Expertise in debugging code and exception handling. Good knowledge in API calls through jar and capture response. Selenium Java professionals with 1-3 years experience.